Is Oak Manor a smoke-free facility? 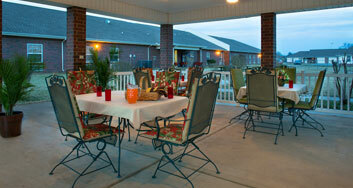 Oak Manor is a smoke free facility but designated smoking areas are provided for our residents that smoke. For the safety of our residents, regularly scheduled smoke breaks are planned for throughout the day. Can residents leave Oak Manor for outside visits? 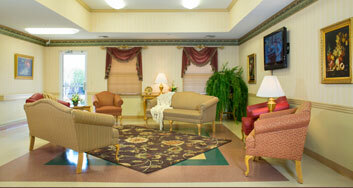 Long term care residents may leave the facility with friends and family members. Visiting with friends and families away from the facility is permitted and encouraged. The nursing staff should be notified prior to the resident leaving the facility so medications can be given or sent with the resident. What options are there for paying for nursing home care? Personal Resources, Medicaid, Long Term Care Insurance, Medicare/Medicare advantage plans and Medicare supplemental plans for skilled care are several options available to nursing home patients. Personnel in the Social Services department are available to discuss these options so an informed decision can be made concerning financial arrangements. 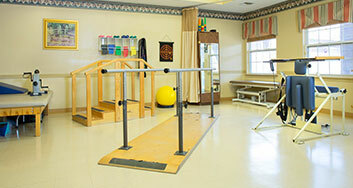 What personal items can be brought to the nursing home? The rooms at Oak Manor are uniquely designed to provide an atmosphere reminiscent of home. Therapeutic beds, comfortable chairs, color-coordinated curtains and room accessories and ample closet and storage space are provided for the residents’ comfort. Residents and families are encouraged to individualize rooms with personal items brought from home to make rooms more cozy and home-like. Money, jewelry and other valuables should not be kept in resident rooms. Does the facility have specified visiting hours? Families and visitors may visit loved ones at any time. There are no set visiting hours. Outside doors are locked at night but an intercom system at the main entrance is in place to notify nurses of anyone wanting to come in during this time. Please be courteous when visiting and respect the residents’ hours of sleep and medical conditions. Can food be brought into the facility? Yes, it is permissible to bring food to residents in covered or closeable containers. Always be aware of dietary restrictions and allergies when bringing food to your loved one..